National Sports Broadcasting is proud to be the exclusive fixed based video provider of the 2018 Soccer Skills Unlimited Schedule. Congratulations on your participation in this years tournament. 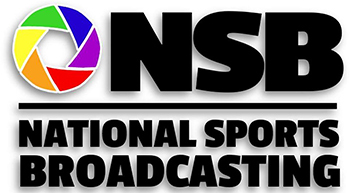 National Sports Broadcasting is excited to offer your team our services. We will have 15′-20′ elevated cameras on every field with trained camera operators to record every game. Every pass, save, shot, and goal can be celebrated over and over. Our videos are perfect for any family or friend that couldn’t make it to the tournament, as a tool for the coach to use in future training sessions, and as footage for recruiting videos for players who are looking to play at the next level. If this is the first tournament you have encountered that offers a video service we hope that you give us the opportunity to enhance your experience, and if you’ve dealt with other companies in the past we ask that you allow us to provide you a better service at a much more affordable rate. The Pre-Order cost is a one time team fee of $300 or $250 depending on age bracket per team or Day of Event $400. For that price a master file of all group stage games played by your team will be sent to the team contact for distribution. If your team makes the semi final and/or final the price WILL NOT change and those games will be included for FREE. The cost divided up among the team parents is around $20 per parent for the ENTIRE tournament, or roughly about the cost of a commemorative T-Shirt.